Plugins are software components that users (like you) install separately into a game directory to customize it with features not available in its original state. Modders are the community members who built the plugins / mods you’re using. They are not the game developers, they are mod developers. This means all mods / plugins will need to be installed manually. This video explains how in 100 seconds. If you mod your game, there is a chance that it will break right after an update. Give it some time and refer to the tips below. The people who made all these awesome stuff can often be found in the BSMG Discord server. When you see them, feel free to give some constructive feedback or just simply say thanks. That will make their day. ModSaber Installer and Mod Manager are two different versions of application that serve the same purpose. 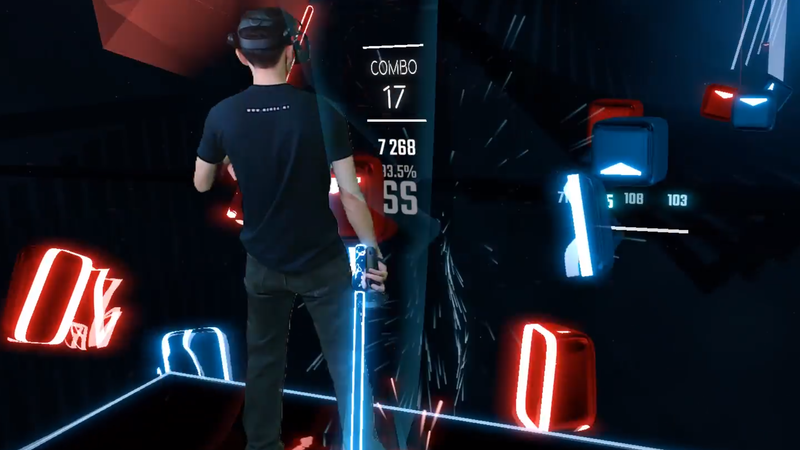 They are almost a necessity when performing modifications to Beat Saber – especially for beginners. They serve as your go-to one click application that houses plugins from the repository (https://www.modsaber.org), and will Install or Update your plugins automatically into the Plugins folder. You need only ONE of them so choose whichever that suits your taste. To install ModSaber Installer, go to https://github.com/lolPants/modsaber-installer/releases and click on the modsaber-installer-setup-x.x.x.exe link; the one with the ‘Latest Release’ tag. Next, save the application somewhere easily accessible on your computer and then double click to open. To install Mod Manager, go to https://github.com/Umbranoxio/BeatSaberModInstaller/releases and click on the BeatSaberModManager.exe link; the one with the ‘Latest Release’ tag. Next, save the application somewhere easily accessible on your computer and then double click to open. So now that you have one of the installers open, the rest is simple. Advanced users: The latest version of plugins you have are sometimes sitting in a queue awaiting approval for quality control purposes. They go through a strict process of testing before being released to us – users. If you feel impatient, you can look up their respective github pages, if any, or download from the #finished-mods channel in BSMG Discord server. If you’re here to get custom songs, the Song Loader plugin is what you need. It is already checked and locked in both installers so you can skip a few steps and just click the “Install / Update” button. This will create a CustomSongs folder in your game directory along with some additional files that will enable the game to run custom songs. 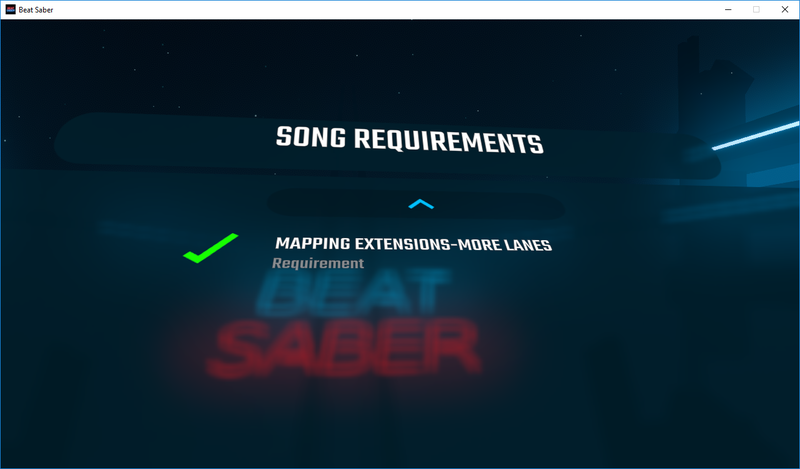 This is an independent plugin that stores all your best scores with or without modifiers upon completing custom songs into the scoresaber website. Installing this plugin allows you to compare scores with your friends and other players in the global leaderboard. If you don’t have this installed, score submission will be limited to only your Original Soundtrack (OST) songs while your custom songs scores will be recorded locally (in your computer). 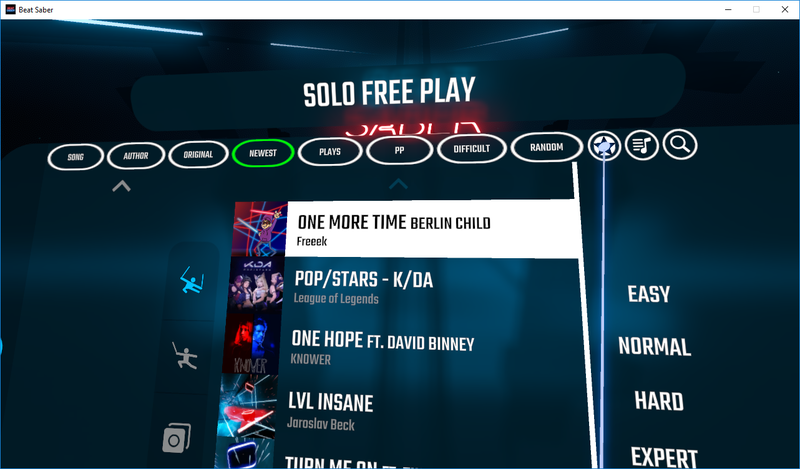 Download custom songs in game without having to take your VR headset / HMD off. 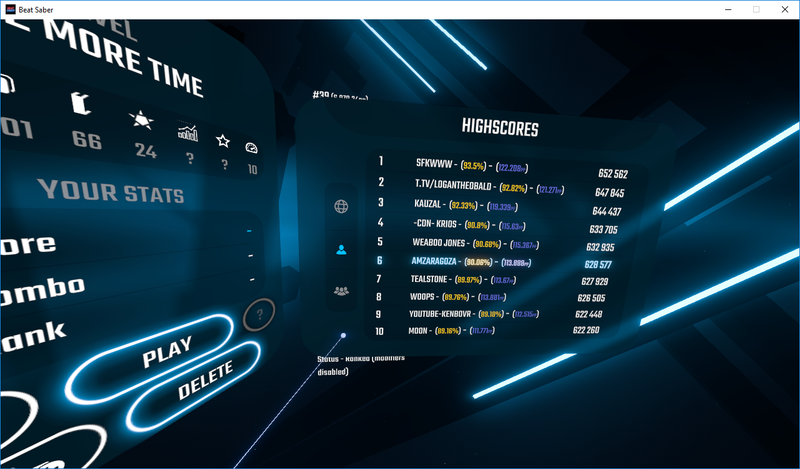 A less shaky version of the mirrored Beat Saber window from your HMD. If you’re setting up for a demo or if you are streaming your gameplay, this is a must have. There is an option to capture in third person view and the window also doesn’t turn black when you take the headset off. Additional sorting and searching options among other useful features. Find latest instructions in Mod Info. 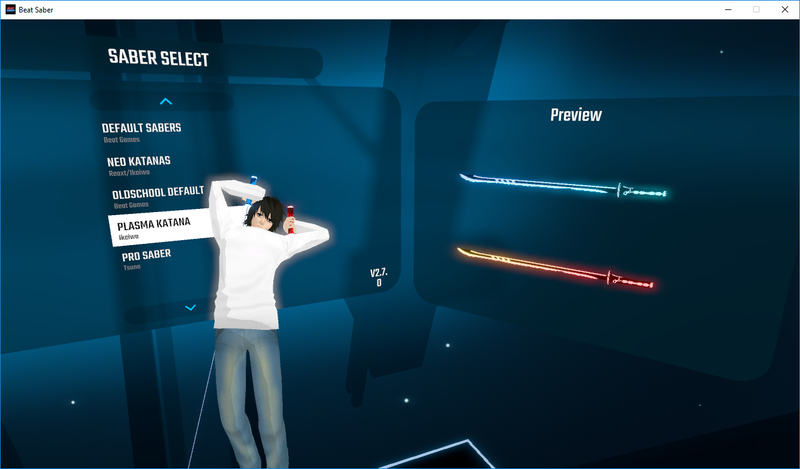 Once you install the plugin and run the game, a CustomSabers folder will be created. This is where your favourite custom models from https://modelsaber.com/ are placed. You can manually Download the models or directly Install them. Directly installing means you don’t need to manually drag the downloaded custom model into the CustomSabers folder. To perform the “Install” method successfully, you will need the ModSaber Installer. Once you installed the plugin and run the game, a CustomAvatars folder will be created. This is where your favourite custom models from https://modelsaber.com/ are placed. You can manually Download the models or directly Install them. Directly installing means you don’t need to manually drag the downloaded custom model into the CustomAvatars folder. To perform the “Install” method successfully, you will need the ModSaber Installer. Press Home key to toggle show/hide your avatar in HMD & press PgUp / PgDn to scroll through your avatar list. Find latest instructions in Mod Info. Once you installed the plugin and run the game, a CustomPlatforms folder will be created. This is where your favourite custom models from https://modelsaber.com/ are placed. You can manually Download the models or directly Install them. Directly installing means you don’t need to manually drag the downloaded custom model into the CustomPlatforms folder. To perform the “Install” method successfully, you will need the ModSaber Installer. 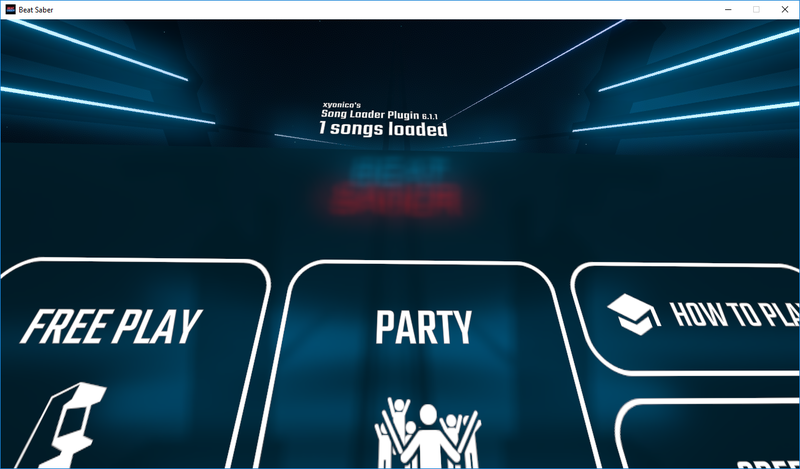 Allows you to customize the colors in Beat Saber. Find latest instructions in Mod Info. This mod adds challenges to the game where you must play with certain modifiers, fulfill certain requirements, or both for a given map. Currently there are Custom Campaigns and Daily Challenges. Find latest instructions in Mod Info. Reference to Star Wars. If you know one, you will recognize the other. Find latest instructions in Mod Info. Find latest instructions in Mod Info. If you are familiar with how the Disappearing Arrows modifier looks like in the game, this one takes it one step further – the blocks disappear. Find latest instructions in Mod Info. The ones you see under Libraries category are tied to certain plugins because of dependencies. They are there to make certain mods work and do nothing on their own. You don’t have to worry about downloading these if you have either ModSaber Installer or Mod Manager installed, since they should auto-select them if necessary for the plugins you were getting. If you do end up having them installed, simply follow the instructions in Mod Info if needed. Enables special colours in maps lighting as well as some other special events for Mappers. You may see a message or indicator stating that it conflicts with another Lighting mod like Rainbow Lighting and this means they cannot coexist. Find latest instructions in Mod Info. Randomizes the background lighting in songs for a more colorful experience. You may see a message or indicator stating that it conflicts with another Lighting mod like ChromaLite and this means they cannot coexist. Find latest instructions in Mod Info. Play against other players in real time. Find latest instructions in Mod Info. A mod that feed you live information on parameters of your gameplay that you enable as you play through a song. Find latest instructions in Mod Info. Display a ring around your combo multiplier if you haven’t missed a block. Find latest instructions in Mod Info. Colors the score popups that appear after hitting notes. Also adds judgement text above (or below) the score. Find latest instructions in Mod Info. Allows you to skip intros and outros of songs with no significant events that affect scoring. Find latest instructions in Mod Info. 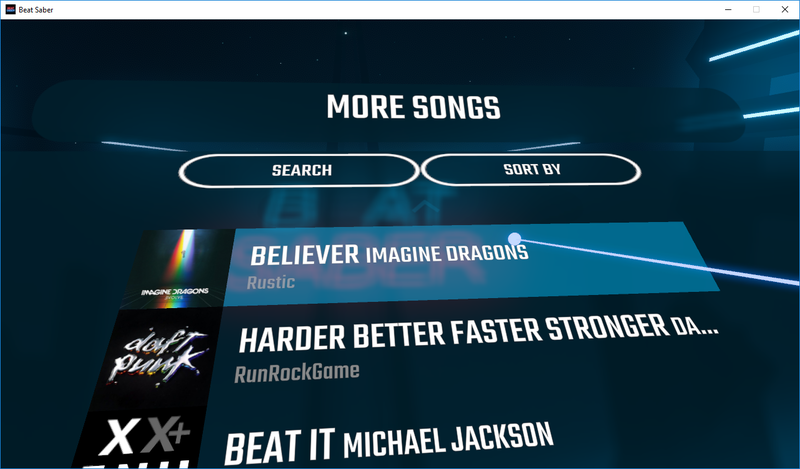 Shows you how many notes are left in the song as you progress. Find latest instructions in Mod Info. Displays how many in a range of scores per block you’ve hit or missed to the results screen. Find latest instructions in Mod Info. Control playback speed, seek through songs, set up looping sections and more. Find latest instructions in Mod Info. This category is for people who stream their gameplay or run a demo with attention to detail. Adds a chat window of your Twitch channel in game and allows your viewers to request songs by typing certain commands. Also useful for other players & spectators in your gaming session to follow the conversation. Song requests require TwitchOAuthToken so only the streamer has the ability to moderate it. Find latest instructions in Mod Info. Enables the building of custom stream overlays that displays the song name and player’s performance in real time. There are other potential use cases for modders but stream overlay is what most of us will use this for. Find latest instructions in Mod Info. Writes currently playing song status to a text file that can be read by programs like OBS. This behaves similar to HTTP Status stream overlay in functionality but they use different approach. Find latest instructions in Mod Info. 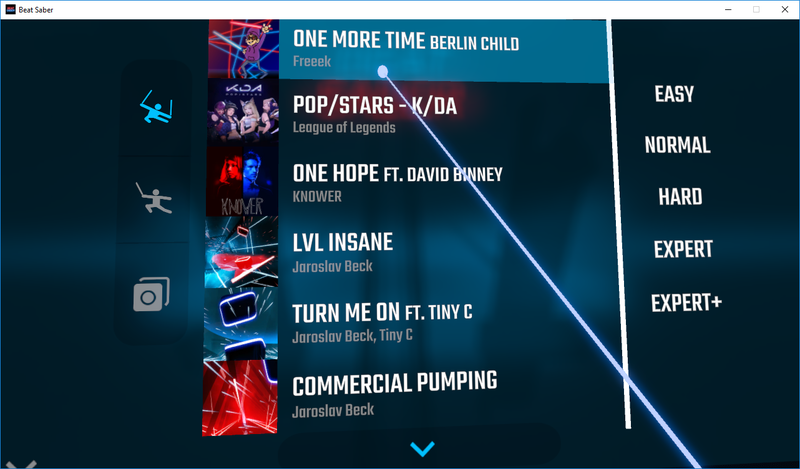 Changes the text when you fail a song. Find latest instructions in Mod Info. 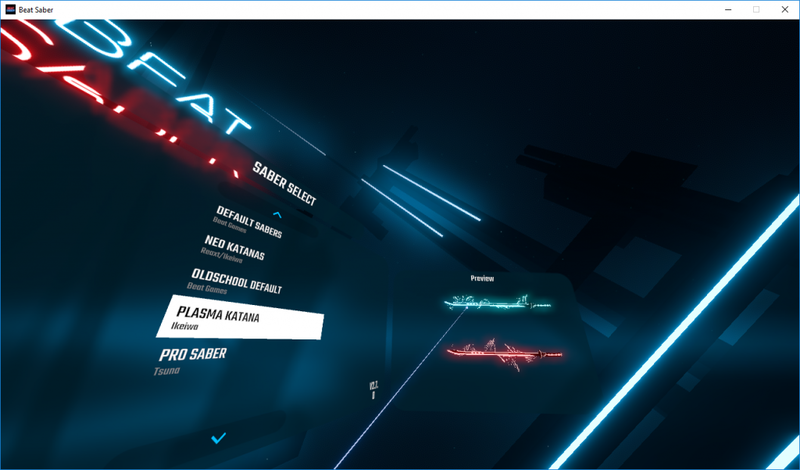 Customizes the “BEAT SABER” menu text to different wording. Find latest instructions in Mod Info. Changes the text that appears when you miss a note. Find latest instructions in Mod Info. Extra settings options to tweak some variables that you never knew you needed. Find latest instructions in Mod Info. Changes the music in the menu. Find latest instructions in Mod Info. Controls the nature and amount of particles to be displayed, generally related to PC performance. Find latest instructions in Mod Info. Very simple plugin that adds a button in game to refresh your song library. Customize internal bloom effect parameters of each cameras in-game. Find latest instructions in Mod Info. 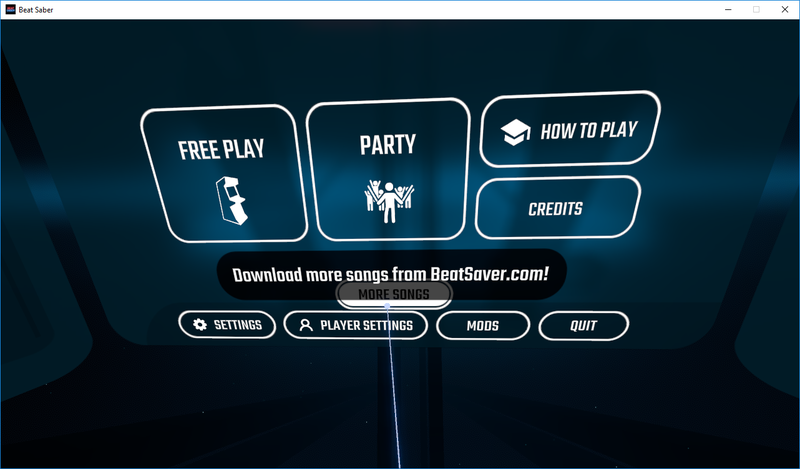 Keeps your songs up to date, optionally downloads the newest releases from your favorite mappers, as well as content from your bookmarks on BeastSaber. Find latest instructions in Mod Info. Counts your active calories while playing Beat Saber. Find latest instructions in Mod Info. Enables custom maps with more than the the default 4×3 grid. Find the latest version in BSMG Discord server – #finished-mods channel.